My name is Alan Lammle and for those of you who do not know my story, I had the unlikely, one in a billion chance, of having a glob of triglycerides go on a traveling expedition and block a duct to my pancreas causing a bout of severe pancreatitis. I was hospitalized for a month in a medically-induced coma. Since then I have had many pancreatic attacks, resulting in Type 1 brittle diabetes. I have only 3% of my pancreas left and do not have the pancreatic ability to create and regulate insulin or to produce digestive enzymes. I have suffered changes to my vision, neuropathy issues, and have issues with hypoglycemic unawareness. I have been told that I need a pancreas transplant. Due to my condition, this transplant will be more involved than normal and I will have more out-of-pocket expenses than usual. I am 54 years old and live with my wife, Amy Simons, in Parker, Colorado. I have two sons, Matthew, who is married to Samantha and lives in Arvada, Colorado and Joshua, who with his girlfriend, Christine McBride, lives in Parker, Colorado. I grew up in Minnesota / South Dakota and graduated from Roscoe High School. I attended Alexandria vocational school in Minnesota and Denver Technical College in Colorado. My last job before I stopped working due to health concerns was as an IT Field Support Technician at Ball Aerospace and Technologies Corporation in Boulder. I was put on the transplant waiting list at the University of Minnesota Hospital in Minneapolis on April 22, 2015. I have been told the expected wait time for a pancreas is six months to a year. Transplants are life-saving but financially draining. Even with insurance, I will have many uninsured transplant-related expenses such as co-pays and deductibles, travel and temporary relocation from Colorado to Minnesota be near the transplant center, living expenses in Minnesota, and the costs of the immunosuppressant medications that I will need to take for the rest of my life. As one example, I will need to take one anti-infection medication,Valcyte, for six months. This medication costs over $8,000/month – and my out-of-pocket expenses may run as high as $8,000 to $10,000 for this time period for this one medication alone. The various statistic charts show that a transplanted pancreas has an average life of 10 to 12 years. I have a common blood type (type A), have relatively common HLA (tissue typing), and have low PRA (percentage of antibody issues) and have been told I am not a difficult transplant match. I have been told that if the transplanted pancreas fails at a time after I have reached 60 years of age, that I may not be eligible for further transplant surgery as the hospital does not normally perform pancreas transplant surgery on patients over age 60. Because I am 54, I intend to wait for the closest match and for a pancreas in the best condition so that it may function for me for the next 25 to 30 years or longer. I plan to travel to Minnesota once I am close to the top of the list and be ready for transplant surgery. I may be in Minnesota for a month or longer before transplant and for a month or two post-transplant. I have been told that initially I will be visiting the University of Minnesota Hospital every three months post-transplant for about a year, then every six months, and then annually. I wish I didn’t need to ask anyone for assistance, but with the expected costs, even after insurance and savings, I know I need to ask for your assistance and support. To help with this financial burden, a fundraising campaign in my honor has been established with Help Hope Live, a trusted nonprofit organization that has been providing community-based fundraising guidance to patients and their families for more than 30 years. All donations are tax-deductible to the full extent allowed by law, are held by Help Hope Live in the Midwest/West Transplant Fund, and are administered by Help Hope Live for transplant-related expenses only. Please consider making a contribution today and click the DONATE NOW. If you can find it in your heart to help with $1.00 or $1,000.00, please know that every single dollar helps and we are grateful for your support. If you don’t have any money to spare, please share this link with your Facebook, Twitter, Instagram, and other social media friends. Email it to your family and other email contacts. Every single donation – large or small – makes a difference. My entire family, including Amy, Matt, Samantha, Josh and Chris, will all be actively involved in my fundraising campaign. Amy can be reached at her business phone number of 303-220-1320 or by email at [email protected] We all thank you for your prayers, support and generosity. Please keep an eye on my HelpHOPELive campaign page for updates and news of upcoming fundraising events. Alan has his next follow-up appointment with his transplant surgeon at University of Wisconsin Medical Center on September 21, 2018. He has gone through rough times with CMV, opportunist infections, and mediation issues. We hope to hear good news and are hoping for medication adjustments to reduce side effects and shakiness. Tomorrow will be Alan’s two year anniversary of his pancreas transplant at the University of Wisconsin Medical Center in Madison, Wisconsin. Alan and I received the call two years ago tonight that a pancreas was coming for Alan from Texas. The transplant has been doing well, but unfortunately Alan continues to remain ill. He has been ill again since early October of 2017 and is discouraged. It is thankfully not CMV which he dealt with for 7 and 1/2 months from late 2016 through mid 2017. Thank you to everyone for the thoughts and prayers sent in Alan’s honor. Alan has a follow-up appointment with his transplant surgeon at University of Wisconsin Medical Center on September 19, 2017. We are hoping for some good news. 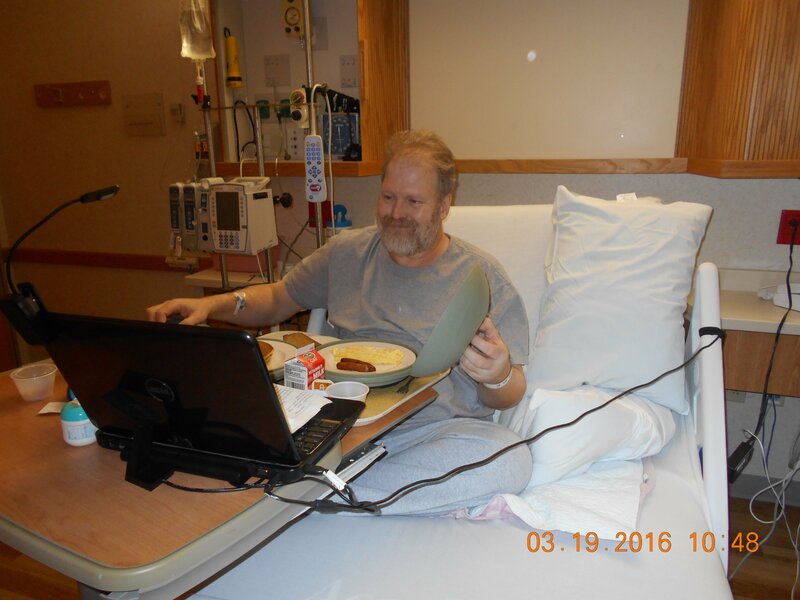 After Alan’s bout with CMV for over 7 months (from November 2016 through June 2017), and his persistent nausea issues we are seeking reassurance that Alan’s transplanted pancreas is still functioning well. We are going through a difficult time and ask for your prayers and thoughts for Alan. To those of you who know Alan personally, please call him or email him. I know he will appreciate it. Alan has been ill with CMV for almost six months now. We thought last month that we were in the tail end of dealing with the CMV and I called it “merely an aggravation”. It has gotten much much worse again. Because Alan is so immunosuppressed in fighting the CMV, he is currently dealing with thrush, with sinus and chest congestion issues, with inner ear issues that include vertigo and tinnitus, with sleep issues, chest pain, severe muscle spasms, nausea, dizziness, weakness, and so forth. Alan is frustrated and feels miserable. Right before Easter, Alan was so ill that we thought we might need to get in the car to drive to our transplant hospital in Wisconsin as we could not get a plane reservation during the holidays. We are exhausted and overwhelmed. We are back to the holding pattern of our being packed and wondering if we’ll be traveling to Wisconsin for further treatment. We have been keeping Alan segregated from everyone and everything so that he does not catch anything and become sicker. Although the norm for CMV negative transplant recipients who are taken off the prophylactic amounts of Valcyte they stay on for six months or longer after transplant is to suffer a mild case of CMV (from the CMV positive transplanted organ) and create the antibody against it, some people such as Alan suffer severe CMV symptoms and are at risk of losing their transplanted organ or even dying. After Alan suffered severe symptoms for approximately two months, the amount of CMV in Alan’s bloodstream started to go down and we had thought we were beating the CMV. Even though he kept coming down with opportunistic infections and felt poorly, the CMV in his bloodstream continued to go down significantly over the following two months but a month or so ago, the amount of the virus in Alan’s bloodwork started to go up again and then a week or so ago the virus load in his bloodstream tripled that previous blood test amount. We continue to believe that we will beat this, and that once we do and after Alan is put back on his regular transplant medications and the prophylactic amounts of Valcyte again for another six months, that when taken off the Valcyte next time that Alan will suffer a mild case of CMV for a day or two and then create the antibody against it. That is our hope and expectation. Today is Alan’s one year anniversary of his pancreas transplant at the University of Wisconsin Medical Center in Madison, Wisconsin. The transplant has been doing well. Thank you to everyone for the thoughts and prayers sent in Alan’s honor. Alan and I celebrated last evening at the exact time when we received the call last year that a pancreas was coming for Alan from Texas. Alan’s only current issue is the CMV (Cytomegalovirus) which fortunately is merely an aggravation now and no longer a threat to Alan retaining his transplanted pancreas. Alan’s blood tests show that he is still battling CMV but things are improving and the level of CMV is quite low but still present. Alan is also dealing with thrush so isn’t feeling too well right now. We expect him to be feeling better once he finally beats the CMV and the thrush. We know he will beat these things and are looking forward to the future. It has been approximately nine years since we have been able to camp or fish as we needed, since he became ill in 2008, to be close to medical assistance for Alan. We expect to be camping and fishing this coming summer. Our hope is to work on Alan’s bass boat (which is a work in progress) so that we will be able to use it for the first time. When Alan had been hospitalized with his first bout of pancreatitis (during summer of 2008) and was in an induced coma for approximately a month, I frequently had the television in his ICU area on a cable channel that would broadcast fishing shows. My mother visited and was helping me with Alan at the hospital and commented several times about her father, my grandfather, who loved to fish and who had a bass boat. My mother always refers to her father as “Daddy” and she recounted for Alan fishing stories including stories of him with his bass boat. When Alan was brought out of the induced coma and was finally able to vocalize, it was clear he had something important he wanted to say. I expected him to tell us how much he loved us. That was not Alan’s first comment. Alan’s first comment was “Your mother bought us a bass boat?” How could we not purchase a bass boat for him after understanding that he had heard us throughout the induced coma and had been looking forward to fishing on his bass boat. We could not afford a working bass boat but purchased Alan a used 15 ft. Skeeter bassrunner, a 90 hp. motor, and a trailer to transport the boat. Alan has had to redo the entire electrical system on the boat and do other mechanical and structural repairs. Over time we have found a trolling motor for the boat, a fishfinder, new seats etc. and the boat may be close to being ready to hit the water. The plan is do a family camping and fishing trip for Alan’s birthday this coming summer, stay at the Baby Doe Campground in Leadville, Colorado and use Alan’s bass boat on Turquoise Lake. Great news today! Alan’s transplant coordinator telephoned this morning to tell us that after two months of Alan battling active CMV that he is finally beating it. He is still feeling poorly but hopefully will be feeling better soon. Thank you to everyone for their prayers and encouragement through all of this. For the last 11 days Alan has been experiencing severe chest pain and we have been back and forth to the ER about it (as well as about the CMV). We found out yesterday that the chest pain is due to the CMV which has caused inflammation of the tissue around Alan’s heart. At present Alan does not have fluid accumulation around his heart and all the EKG and stress tests on Alan’s heart are coming back normal. We are in daily contact with our transplant hospital (University of Wisconsin in Madison, Wisconsin) and our doctors here in Colorado. We live in Parker, Colorado which is a suburb of Denver. We have not yet been advised to return to our transplant hospital in Wisconsin and are taking it one day at a time. Alan is going through a rough time. We were in the ER all day Friday. In addition to the CMV symptoms (everything but fever) he has been having severe chest pain since Monday. CMV is CytoMegloVirus and Alan is CMV negative and the transplanted pancreas is CMV positive. Alan has been sick since November 10th. He was put back on Valcyte on Wednesday (on mega doses of it) and it has not helped. We are in touch with Alan’s transplant nurse coordinator at Univ. of Wisconsin who has been in contact with the ER people and to Alan’s other doctors. So far we haven’t been told to get on a plane to Wisconsin. The latest blood work about CMV (from last Wednesday) will not be back until at least tomorrow. If the Valcyte doesn’t knock out the CMV, Alan may have to be taken off his transplant anti-rejection meds to fight the CMV, and would end up rejecting his transplanted pancreas. The ER did all the heart tests – EKG, stress test, x-rays, etc. and whatever is going on doesn’t seem to be a heart issue – but the chest pain Alan is experiencing isn’t getting any better. Alan is having issues with Cytomegalovirus (CMV). He was CMV negative before transplant and his transplanted pancreas is CMV positive. Our transplant hospital put Alan on Valcyte for 6 months after transplant. They took him off the Valcyte on October 27, 2016 and expected he would suffer a mild case of CMV (from his transplanted pancreas) and create the antibody against it. That has not occurred. Alan has been having active CMV symptoms since November 10, 2016. Our transplant hospital put Alan back on Valcyte today (11/30/2016) but this time on twice the strength of what he had been on before. If the mega doses of Valcyte do not knock out the CMV we may have to travel to Wisconsin to our transplant hospital for treatment. We are worried that Alan may lose his transplanted pancreas. Please send prayers our way. We will be in Wisconsin for Alan’s 3 month follow up appointment with his transplant surgeon on August 5, 2016. Alan is now four days post transplant. His new pancreas appears to be working well. As of a few minutes ago, he is off of all IV’s He has been up and walking since Wednesday. He was started on a liquid diet yesterday. He is expected to progress to solid foods today. He cannot wait to eat some real food. We thank everyone for their support and prayers. Alan received his pancreas transplant today!!!! He is out of surgery. He will be in recovery for about an hour and then come to his room on the transplant floor of the hospital. I spoke to the surgeon who was very pleased with the surgery. I am looking forward to seeing Alan and speaking with him. We are at the University of Wisconsin Transplant Center and are hoping Alan will have his pancreas transplant today. We have been here since 8:00 a.m. and Alan has gone through most of his pre-op tests. The pancreas is coming from Texas and has not yet arrived. Once it arrives the doctor will inspect it and if it looks good, transplant surgery for Alan will occur about 2 hours from now. We received the call that there is a pancreas for Alan coming from out of state. The OPO has not yet retrieved the pancreas. That should happen early tomorrow morning. The pancreas will not arrive here until tomorrow morning. We are to be at the transplant center at University of Wisconsin at 8:00 a.m. Please keep us in your prayers. We have decided to “multi-list” Alan for pancreas transplant and have decided to have a transplant evaluation with the University of Wisconsin Transplant Center before we return home to Colorado. Today starts our 11th month of waiting on the University of Minnesota waiting list. We checked out of our hotel in Minneapolis yesterday, rented a car, and drove to Madison, Wisconsin. We stayed in a hotel last evening but are checking into the UW transplant house (Restoring Hope Transplant House) in Middleton, Wisconsin later today. Our evaluation should happen on my birthday, Tuesday, February 23, 2016. The UW transplant committee will meet that afternoon to decide if they will be putting Alan on their transplant waiting list. As the eternal optimist, I am hoping maybe meeting them on my birthday will bring us luck here. Alan is completing his 10th month of being on the waiting list for pancreas transplant with the University of Minnesota Medical Center in Minneapolis, Minnesota. Our expected wait, based upon Alan’s blood type and blood testing results, was to be approximately 6 months. Per UNOS (United Network for Organ Sharing) the average wait time for a pancreas was estimated at 4.9 months. The websites for various hospitals that perform pancreas transplants were estimating 3 to 6 months, 1 to 3 months, 6 months, 6 months to a year, etc. for pancreas transplant waiting times. Each of the websites stated that when candidates were placed on the waiting list for a pancreas that their waiting time would be determined by their waiting time on the pancreas transplant waiting list, tissue and blood type, antibody and immunological issues, size and condition of the donor pancreas, and pancreas organ availability. We have been in Minneapolis, staying in a hotel next to our transplant center, for over 11 weeks (approximately 10 to11 weeks of which Alan has been #1 for his blood type for Pancreas (PA) transplant at our transplant hospital), but we have not been called for transplant. We became concerned that our transplant hospital was receiving as many as 5 national offers for Alan in the same day, for over the last 10 weeks where the hospital was declining each offer and the hospital did not appear to be receiving any local offers for Alan. Each of the offers were reported to be poor pancreas offers where the organ was not appropriate for transplantation. We started doing investigation on our own to find out why there were so many poor offers and no appropriate offers and learned that UNOS had made an allocation change concerning pancreas allocations wherein the candidates for a Kidney-Pancreas (KP) transplant are now on a merged waiting list with PA candidates (KP allocation now follows the pancreas rather than following the kidney) which severely affects the waiting time for PA candidates. Until last month when we met with our transplant surgeon to discuss why Alan wasn’t being called for transplant, no one had ever informed us, nor did we see anything online at any of the various transplant hospital web sites, that UNOS had changed allocation protocol or that KP candidates were now on a merged list with PA candidates. Additionally, we were told that there is currently a preference towards multi-organ transplants. The estimate of poor pancreas offers made to our transplant hospital for Alan appears to be well over 200 pancreas offers that apparently were all national offers, where the offers started out as KP offers that went locally, regionally, and nationally and after being refused at the national level the kidney had been separated out from the pancreas and the pancreas was then being offered by itself. The hospital felt that each and every national offer was poor and not appropriate for Alan and we have not even been contacted even once that there is a potential appropriate pancreas for him. We wondered why there didn’t appear to be any first run PA offers that were coming up for Alan so we called to the local OPO (Organ Procurement Organization) to determine the number of recent PA and KP offers from the Minneapolis local area. I was informed that there was a combined match run that included KP’s with PA’s and other pancreas candidates and that there was little expectation that a PA would be available by itself unless a donor’s organs were being used in two multi-organ transplants offers where each offer included a kidney, but neither offer included the pancreas. I inquired as to the last several organ donors who had a viable pancreas. In the three match runs for the last three local donors with a viable pancreas, the match runs had 10 KP’s at the top of their offer list before the first PA, had 8 KP’s at the top of the offer list before the first PA, and had 13 KP’s at the top of the offer list before the first PA.
We discussed what we had learned with our transplant hospital and they have suggested we return home to Colorado and set up a charter flight to return to Minneapolis when there is an available pancreas for Alan. We are discussing doing this. Our concern is the cost associated with a charter flight as compared to our remaining here to continue waiting. If we decide to return to Colorado we expect to do so in the next week or two. Had we known about the UNOS changes, we would not have come in November, but stayed in Colorado and waited, with a plan to use a charter flight to travel to Minnesota when we are called. We want Alan to receive his pancreas transplant and want him to receive the transplant before he suffers irreversible complications from his diabetes type I. We have watched his vision change, his experiencing more and more neuropathy symptoms, and his dealing with daily hypoglycemic unawareness. The lowest cost for a charter flight from Colorado to Minnesota is a flat rate of $11,600.00 (after a $3,000.00 discount). The charter would be from the Centennial Air Park, in Centennial, Colorado to Minneapolis, Minnesota. We cannot rely on commercial air plane flights because there are no commercial flights after approximately 8:30 p.m. until the next morning and most transplant offers happen in the middle of the night and even if there are flights, there might not be available seats on a commercial flight. Alan would also need to be at the transplant hospital about 4 hours prior to his transplant surgery occurring as there are various tests and cross-matching that must be done before transplant surgery is commenced. We ruled out doing a commercial flights because when we came to Minneapolis on November 28th, and we had advance tickets for the flight, had confirmed the flight was on time before we left our home in Parker, Colorado, after going through security and reaching our gate, there was a flight delay. Over the next three hours, there were additional flight delays and then the flight was canceled. We were able to find seats with the same airline for their next flight but by the time we reached Minneapolis, it was more than 11 hours since the time we had started out from our home. Had we been called for transplant on November 28th, Alan would likely have lost his opportunity to receive his transplant. We will be needing everyone’s continued assistance in our fundraising. If anyone has, or knows of, any celebrity items or celebrity meet & greets that could be donated to Alan to be auctioned on www.CharityBuzz.com we would greatly appreciate that. We are looking for other items that could be sold through Craig’s List or a local dinner auction event. Every single donation, whether monetary or as assistance with our fundraisers and with items for auction, helps and makes a difference. Suggestions and/or comments are also helpful. If anyone wants to send me a private email, please send it to me at [email protected] Linking Alan’s information to others via social media helps us as well. The links to two Parker Chronicle articles written by Chris Michlewicz, are parkerchronicle.net (6/10/2015) and parkerchronicle.net (2/5/2016). All donations are tax-deductible, are held by HelpHOPELive in the Midwest/West Pancreas Transplant Fund, and are administered by HelpHOPELive for transplant-related expenses only. Please share our links with your Facebook, Twitter, Instagram, and other social media friends for us. Email them to your family and other email contacts. Sign in to Alan’s guestbook and leave a comment for Alan. We appreciate everyone’s assistance. We are still waiting for pancreas transplant for Alan. Although the University of Minnesota Medical Center has received many offers for Alan, they have not felt that any of them were appropriate for him so we are still waiting in a hotel in Minneapolis hoping the call will come soon. Please keep us in your prayers. We have been in Minneapolis for the last three weeks at a hotel next to the transplant hospital. As of the very beginning of December, Alan is #1 on the waiting list for his blood type for pancreas transplant at the University of Minnesota Medical Center. We were concerned about travel delays from Colorado to Minnesota and missing a pancreas opportunity if there were flight delays or canceled flights due to weather so traveled here on November 28, 2015. We are hopeful that the call will come soon. At present there are only two people with the same blood type as Alan ahead of him on the waiting list for pancreas transplant at the University of Minnesota Medical Center. The hospital receives offers of available pancreas organs daily but is very particular in trying to have as close a match as possible for the pancreas recipient and with the pancreas in pristine or close to pristine condition. If Alan is a closer match to a prospective pancreas than the two people ahead of him on the waiting list, he could be called before them. We are hopeful and waiting and wish the call will come soon. I was hoping that by now I’d be able to post that Alan had received the call from the transplant hospital and had had his pancreas transplant. We are still waiting and hoping the call will come soon. Please continue to keep us in your thoughts and prayers. Ruvie Krajewski of Urban Trendz is doing a September Fundraising Event for Alan. Please stop by her web site at www.urbantrendz.org and look at some of the incredible inspirational handmade jewelry that she has designed. Her Facebook post for Alan is reposted below. For the month of Sept, my Cause will be to help someone locally that lives in my town of Parker. I recently joined a local network group – The Nomelie Network and love what this group is doing to help make a difference in the community. I connected with Amy Simons through this group and she is needing the communities help! Amy Simons’ husband is on the wait list for pancreas transplant surgery which will be taking place in MN. As we all know, medical expenses are SO expensive these days and insurance only covers so much. For the month of Sept, I will be donating 20% of my total sales for the month to the Alan Lammle Help Hope Live fund. Please read his story and help if you can. You can visit my website at www.urbantrendz.org to see the jewelry items I have in stock. There will be more added throughout the month, so keep visiting the site. The holidays is right around the corner, so what a great gift to give to someone knowing that you also helped a great Cause! We are excited to announce that HelpHOPELive will be awarding Alan’s campaign a $1,000 Challenge Grant for having reached the first fundraising goal of $10,000. Alan will receive a second Challenge Grant of $1,000 once the campaign reaches the next fundraising goal of $20,000. We are grateful for your continued support of Alan, especially as his transplant may now happen as early as October 2015. We are preparing for our final BBQ event of the summer. It will be at Cottonwood Park East in Parker, Colorado from 2:30 p.m. to 8:00 p.m. on Sunday, August 9, 2015. We could not have done this without the assistance of friends and family and the support of our local Lowe’s and our local UPS Store. Directions to Cottonwood Park East are on the flyer in the fundraising activities section of this webpage. We will be at the playground pavilion near the parking lot at Snowberry Way. Please come by to support Alan. – Mini-cupcakes (babycakes) from Nomélie Cupcakes (signature babycakes in assorted varieties as well as gluten free babycakes in assorted varieties). We are pleased to inform everyone that Nomélie Cupcakes will be featured on Food Network, on August 26, 2015 at 10:00 p.m. EST (8:00 p.m. MST), on Carnival Cravings with Anthony Anderson. There will be a free drawings at 6:30 p.m. for gift certificates, gift cards, discount cards, and free appetizers. The drawings on August 9, 2015 will be for a $25.00 Rocky Mountain Chocolate Factory gift certificate, $25.00 in a Portofino Pizza and Pasta gift certificate, $20.00 in Hickory House gift certificates, $20.00 in a Bed, Bath & Beyond Gift card, and two drawings for a free appetizer card for Texas Roadhouse. Every single donation, whether monetary or as assistance with these fundraisers, helps and makes a difference. Please sign in to Alan’s guestbook on this webpage and leave a comment for Alan. Please also share this link with your Facebook, Twitter, Instagram, and other social media friends. Email it to your family and other email contacts. We are grateful for your support. Although we have been doing monthly fundraising BBQ events, have had multiple fundraising events and dinners throughout our community and have reached out to our community through the Parker Chronicle parkerchronicle.net , through a Parker community blog communityexpert.com , and to our family and friends by email and Facebook, our fundraising has been going very slowly. At present, after approximately three months of fundraising, the total funds raised are slightly less than $4,000.00. We desperately need your help to raise funds for Alan’s uninsured transplant related expenses. Every single donation, whether monetary or as assistance with fundraising ideas, helps and makes a difference. Please let me know if anyone has any ideas for us or if they would be willing to donate any items that could be auctioned through www.CharityBuzz.com . Additionally, please let me know if anyone can assist us with obtaining corporate sponsorship. My email is [email protected] . Please sign in to Alan’s guestbook on this webpage and leave a comment for Alan. Please also share this link with your Facebook, Twitter, Instagram, and other social media friends. Email it to your family and other email contacts. We are grateful for your support. We are preparing for our second BBQ event. It will be at Cottonwood Park East in Parker, Colorado from 2:30 p.m. to 7:00 p.m. on Sunday, July 12, 2015. We could not have done this without the assistance of friends and family and the support of our local Lowe’s and our local UPS Store. Directions to Cottonwood Park East are on the flyer in the fundraising activities section of this webpage. We will be at the playground pavilion near the parking lot at Snowberry Way. Please come by to support Alan. There will be a free drawings at 6:30 p.m. for gift certificates, gift cards, discount cards, and free appetizers. The drawings will be for $20.00 in Hickory House gift certificates, $25.00 in a Portofino Pizza and Pasta gift certificate, two drawings for a free appetizer card for Texas Roadhouse, and two drawings for a Colorado Rocky Mountain Chocolate Factory Discount card for 50% off any caramel apple. 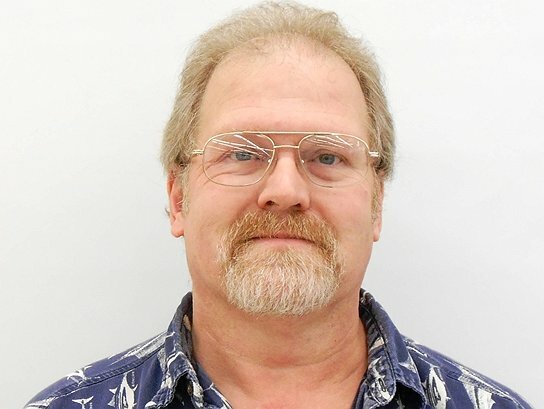 The Parker Chronicle is running an article about Alan. We are preparing for our first BBQ event next weekend. It will be at Cottonwood Park East in Parker, Colorado on Saturday, June 13, 2015 and Sunday, June 14, 2015 from 2:30 p.m. to 7:00 p.m. We could not have done this without the assistance of friends and family and the support of our local UPS Store, Lowe’s, Home Depot, and Walgreens. Directions to Cottonwood Park East are on the flyer in the fundraising activities section of this webpage. We will be at the playground pavilion near the parking lot at Snowberry Way. Please come by to support Alan. There will be free drawings at 6:30 p.m. for gift certificates, gift cards, discount cards, and free appetizers. On Saturday, June 13, 2015, the drawings will be for $20.00 in Le Peep gift certificates, a $10.00 Goochie Cake gift certificate, two drawings for a free appetizer card for Texas Roadhouse, and two drawings for a Colorado Rocky Mountain Chocolate Factory Discount card for 50% off any caramel apple. On Sunday, June 14, 2015, the drawings will be for a $20.00 Bed, Bath & Beyond gift card, a $10.00 Goochie Cake gift certificate, two drawings for a free appetizer card for Texas Roadhouse, and two drawings for a Colorado Rocky Mountain Chocolate Factory Discount card for 50% off any caramel apple. Every single donation, whether monetary or as assistance with these fundraisers, helps and makes a difference. Please share this link with your Facebook, Twitter, Instagram, and other social media friends. Email it to your family and other email contacts. Sign in to Alan’s guestbook and leave a comment for Alan. We are grateful for your support. Try again? I forgot to send last time - ha! I am sorry to here that you are having difficult days Alan. I am praying for you and your pancreas. Keep trusting ou Lord. My favorite- "Sometimes God calms the storm; sometimes God lets the storm rage and calms His child!" Blessings! Amy, I am saddened to hear that Alan has yet to receive his pancreas transplant. I am sure it is difficult to be away from CO and having to stay in the hotel--always wondering when you will receive that call to transplant. Stay strong! Hi Alan and Amy, The staff at HelpHOPELive continues to pull for you and hope that your Gift of Life -- your pancreas transplant -- is in the near future. We hope your friends and family will take advantage of end-of-year tax deductible donations and contribute to your fundraising campaign. Alan, We are keeping you in our prayers for a smooth procedure and a rapid recovery. Hope this helps . . . I know of economic issues that come up because of medical costs. Praying for you and your family. Met Alan and his wife through my husband. Great people. Have known and trusted Alan for many years. Please help my daughter's husband. God Bless. It could happen to anyone. Hey you are strong, you got this Alan. Keep fighting because if you fight, you will believe that there is more to life than just your health concern. Live life, and have no regrets. Two feet on the ground, head held high, and never give up. I love you Alan. Stay strong. We wish you the best of luck. Prayers and love sent your way.